Firstie Favorites: We Welcome Spring with Kandinsky!! This past week, we completed one of my FAVORITE writing/art projects!!! We have been studying and writing poetry in celebration of Poetry Month and we took this week to focus on colors and how different colors make us feel. 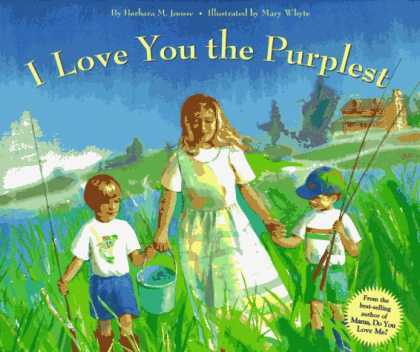 I began the mini-unit by reading "I Love You the Purplest" by Barbara Joosse. The book has GREAT description and helped us to start a conversation about how seeing different colors makes us feel. Then students wrote a poem about how spring tastes, smells, feels, sounds, and tastes. We talked about using describing words like those that the author used in the story. Here's a copy of the poem template if you are interested. I had students to a "sloppy" copy on the top box and then re-write their poem to put on their artwork. Then we did a little more exploring into colors and sound and our senses. We started by talking about artist, Wassily Kandinsky, who believed that you could see music and hear colors. This is a very abstract concept for my firsties and I was met with many confused faces or "what's weird" comments! Little did they know... they would soon understand and experience this for themselves!! 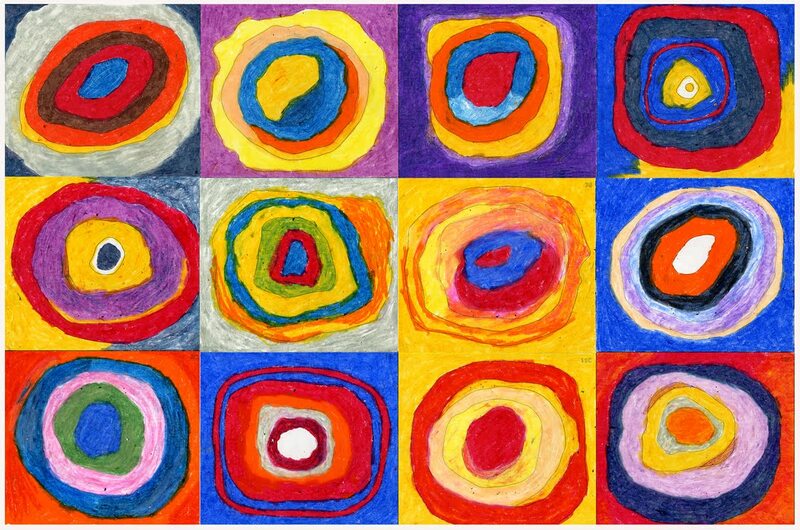 Below is an example of Kandinsky's Concentric Circles which inspired our projects! Then, we talked about how different colors make us feel... many said that yellow made them feel happy or black made them feel scared. Red made them feel mad. I played an instrumental song on my ipod... we talked about how that song made us feel. This particular song sounded happy so we might choose a color like yellow or pink to express our feelings about the song. On the kid's desk groups, I had a set of crayons and large white paper for each student. I had eight different songs queued up on my ipod. As I played each song, students experienced the music and used colors for their circles that reflected their mood and feelings. It is important to have a variety of different instrumental songs... we had some Vivaldi, Disney soundtrack songs, Caribbean inspired songs, country, and Broadway musical songs. As we moved from each song to the next, students began a new circle and switched colors based on their feelings. After our day of experiencing color and music, we cut out our circles and turned them into blooming spring trees. Take a peek at some of their artwork! I LOVE this project because it really gets the kids thinking about how music and art and writing are all interrelated and they make such great connections to color and feelings and description. Thank you so much for donating the wonderful basket of activities from your teacherpayteachers store and classroom goodies. The basket will be raffled off at the May 4th benefit "Arms around the Anhalts' and I'll be sure to send you a picture of the lucky winner. I appreciate your willingness to use your talents to help out my friend (also a first grade teacher!) and her family.